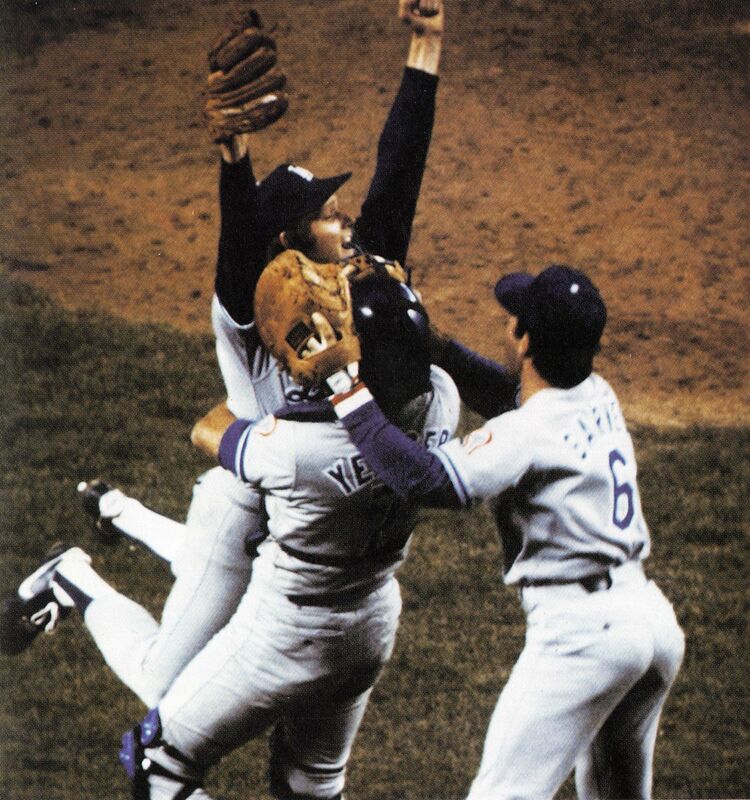 1981 Los Angeles Dodgers personal World Series Championship trophy presented to first baseman Steve Garvey in recognition of their 4 games to 2 defeat of the rival New York Yankees. Garvey had 10 hits good for a .417 average in the series, following up on a .330 average with 3 home runs and 6 RBI in the National League and Western Divisional Play-off Series. 12” tall trophy features brass pennants with team names around the perimeter of a large brass circle with a crown finial. 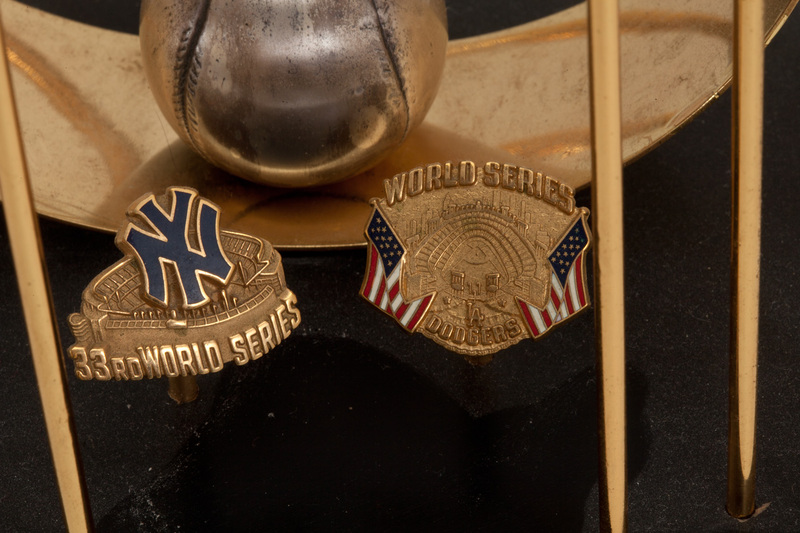 Yankees and Dodgers enameled World Series press pin facades adorn the center area. 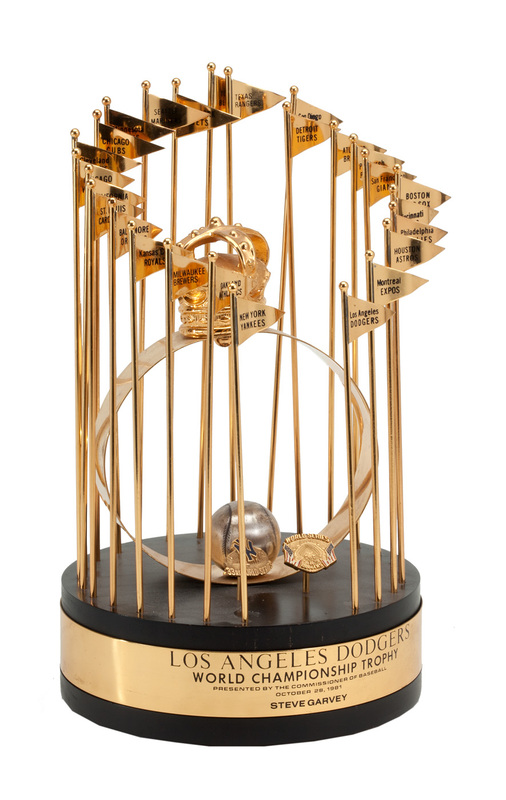 A brass band on the base reads, “Los Angeles Dodgers World Championship Trophy Presented by The Commissioner of Baseball October 28, 1981 Steve Garvey” in black lettering on the front. Desirable trophy belonging to one of, if not the key player commemorating the Dodgers first World Series title since 1965.